This concert, a tradition among Hilo families for more than a decade, brings us home to songs we love to sing during the holidays. The concert will bring together UH Hilo’s Kapili Choir and University Chorus with the Hilo Community Chorus, the ensemble VOICES, the Orchid Isle Orchestra and special guest performers. From sing-alongs to classics with a new twist to Hollywood favorites right here in our home-town theatre. There will definitely be something for everyone. Come back home, once again, with Holiday Card to Hilo. 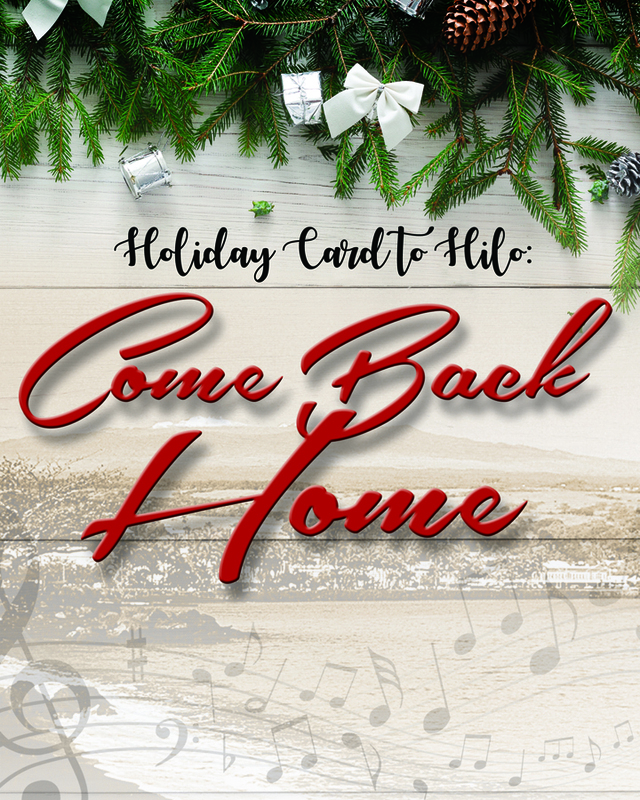 To purchase tickets to see Holiday Card to Hilo: Come Back Home at the UH Hilo Performing Arts Center, follow our purchase tickets link to the right. Single tickets for this performance will go on sale September 18, 2018.